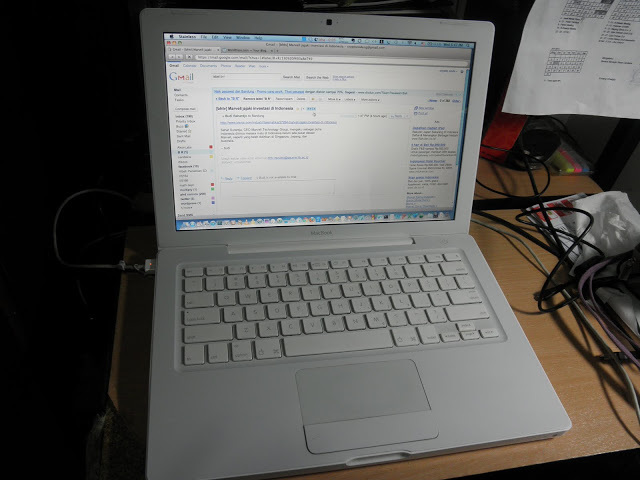 I owned a White Macbook for more than 5 years, and feeling very happy using Leopard and then upgrading to Snow Leopard. After enduring a phd saga for 5 years, the Macbook’s casing started to crack here and there, and then I decided to give it to cadet#1 so that it can stay at home and hopefully will stop cracking. I got myself a new MacBook Pro with Mountain Lion (Mac OS X 10.8.4), 2.5GHz Intel Core i5, 4GB 1600MHz DDR3. At first I was astonished with new things that Mountain Lion offers like more finger gestures, mission control, side notifications etc. But after a few days I started to realize that Mountain Lion is not as snappy and as responsive as Snow Leopard. Mountain Lion takes several seconds after hibernation to be ready to accept password while Snow Leopard will accept it right away as I open the lid. After several days without restarting the OS, Mountain Lion will acting so slow while Snow Leopard works fine for weeks without being restarted. And when I open lots of tabs on the browser, or firing up web and database server, Mountain Lion sluggishness will acting up again. Lots of people have been complaining about Mountain Lion, and they also say that Snow Leopard is the best Mac OS. So what to do? Downgrading? This link gives 12 reasons why Mac runs slow with Mountain Lion, and one thing I definitely would do is upgrading the RAM. There are more tips here. I will write some report after I find more ways on how to deal with the sluggish Mountain Lion. *Update: Everybody is suggesting to upgrade to SSD and highest possible RAM. Ok will do it. This is a useful link about how to install and additional SSD drive. This is 2012. Please use SSD and maximum possible RAM. have just updated the post and saved a link about upgrading to SSD. thx all. Can you help mee with this lease ?? Use Verilog HDL to design a 2-bit comparator using 2×4 decoders and any gates required. Can you help me with this please ?? Use Verilog HDL to design a 2-bit comparator using 2×4 decoders and any gates required. Download MAMP at http://mamp.info/en/. Once the .dmg file is downloaded, double click on it if it did not unzip itself. Than drag the MAMP folder into Applications folder. From Application folder, double click MAMP program and click “Start Servers”. At this point the web server, database server and application server has been activated on your Mac. 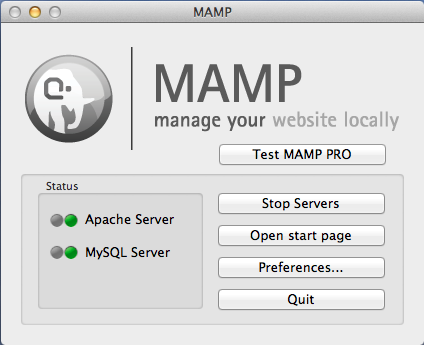 For more details on installing and MAMP setting up, read more here. Unzip CodeIgniter by double-clicking it. 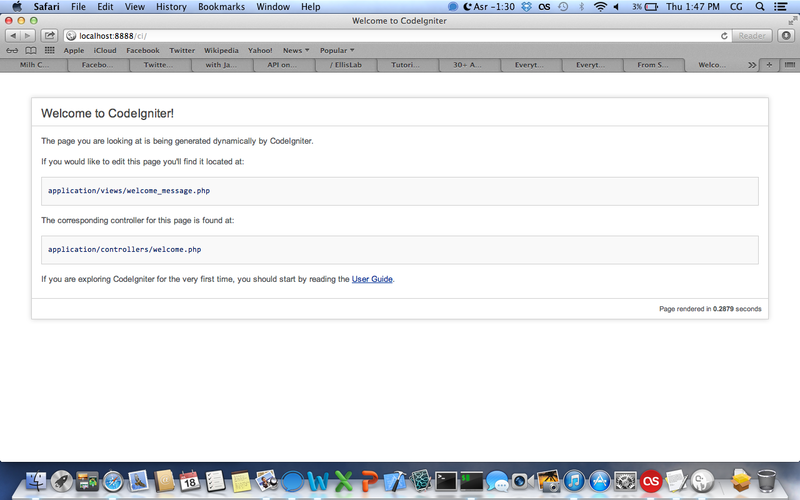 Rename CodeIgniter folder into “ci” (this is the common practice). Can you help me with this lease ?? Use Verilog HDL to design a 2-bit comparator using 2×4 decoders and any gates required. Above it says to add $config[‘base_url’] = “http://localhost/ci/”; are there suppose to be 2 semicolons? The requested URL /CI was not found on this server.